This design was built for the Intranet of the hospital. Site contained basic information for the employees. 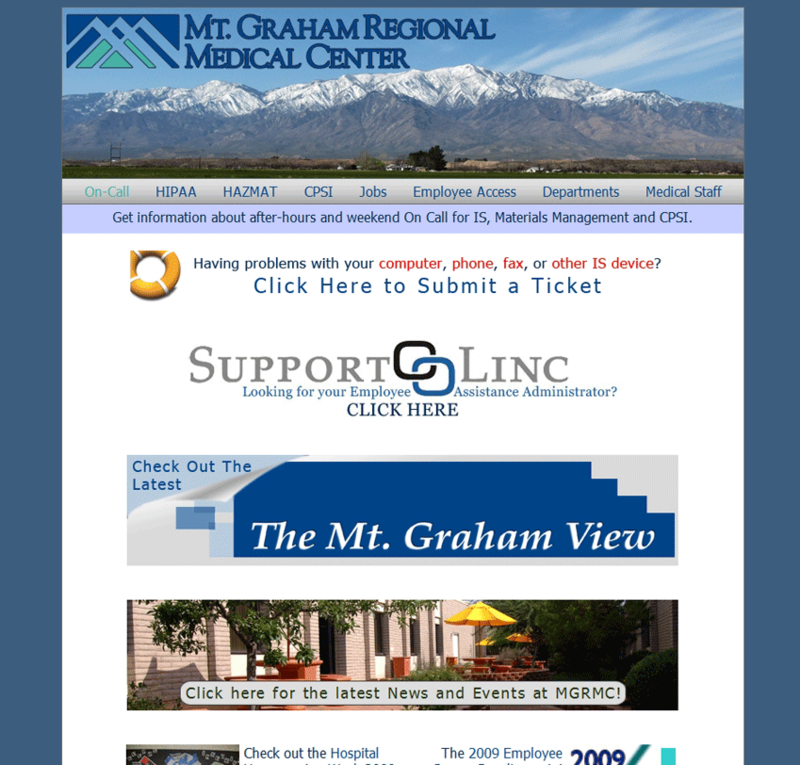 Site was based on the logo’s colors and implemented the mountain backdrop that the hospital was named after.